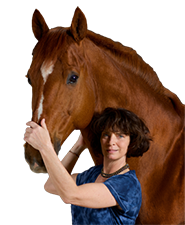 is about bodies - specifically how our bodies interact or more often do not interact correctly with our horses. 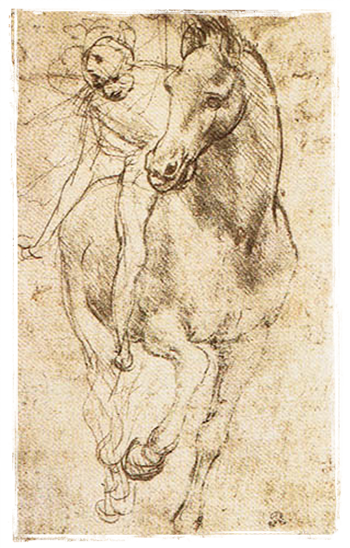 Equestrian sports as a whole demand a unique array of skill sets from the human athlete, which are both biomechanical and neurologic in nature. No matter the riding discipline, all riders want to experience being one with their equine partner. “Natural” riders seemingly accomplish this “oneness” with ease, while the rest of us mere mortals struggle with balance, coordination, flexibility, and strength issues that impair our ability to ride well. Natural riders are natural athletes. Envision an extraordinary athlete – let’s take Michael Jordan –he has almost perfect proportions. He is strong, yet supple and fluid. He is very nearly ambidextrous and has extraordinary hand/eye coordination. When I think of extraordinary riders I envision Steffen Peters. He too has nearly perfect proportions, is strong, supple and I would guess has great coordination and is probably nearly ambidextrous. I wish I could tell you that all of us had the innate athletic qualities of Michael Jordan or Steffen Peters, but I can’t. What I can tell you with certainty that every “body” - even mine – can improve its athletic acumen. I say, “even mine”, because from the time I can remember I was the world’s worst athlete. As a little kid, my Mom was told by a ballet teacher that she shouldn’t waste her time or money. Mom was told about the same thing by a riding teacher. I was excused out of gym class for gymnastics because I couldn’t even do a somersault, let alone a cartwheel etc. I could not throw or catch a ball. (Luckily I did have some other talents.) 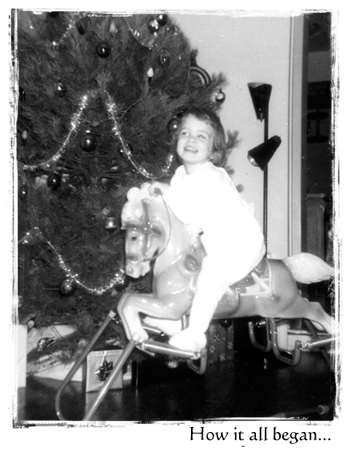 I’m sure most of you out there started out your riding career from a start of athletic prowess much higher than mine. The one thing I did have going for me was a natural love for all things equine. My mother swears that I said horsy before I said Mama. All I ever wanted to do was ride. 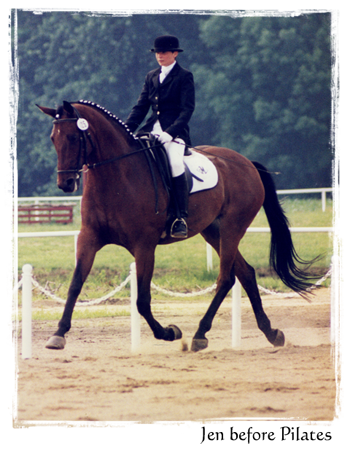 I rode as a kid in Pony Club and then stopped riding for college, graduate school, work etc. Yet all of that time, I could not keep wanting to ride or horses out of my mind. So I went back to riding, but quickly realized that my body was preventing me from achieving my goals. In order to ride well we must endeavor to create in ourselves, what we want in our horses – mental relaxation, strength, flexibility, balance and ambidextrosity. Many of these traits depend on a muscularly symmetrical body. Body imbalances and asymmetries develop over time, based on your own particular physiology, posture and lifestyle. How you move when not riding, your other forms of exercise (or lack thereof), and the amount of time and the quality of how you sit at work all effect the way you ride. 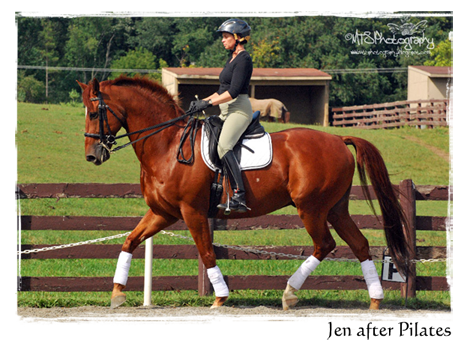 Asymmetries influence your movement, alignment and flexibility, which greatly affect your effectiveness as a rider. I use exercise modalities, primarily Pilates/Equilates and Echart Meyners Balimo work to help riders identify their unique issues and help them find ways to rebalance.